I'm a doodler. When I was a little girl, I used to doodle in a little note pad to keep myself occupied in what felt like the eternally long "big church" sermons where I was expected to keep quiet and not be distracting. (Apologies to my childhood pastors for saying they were boring). I doodled in the margins of my papers at school. I doodled when I was bored to keep myself awake and I doodled for a creative outlet, filling little sketch book after sketch book. When I was dating my husband in college, I'd say that 99% of all my note taking involved exploring all the ways to mix my first name with his last name in all different fonts within my note margins. I even doodled him a page of cartoons on notebook paper with all our inside jokes as a gift one time, framing it even. We were poor college students--what can I say? (By the way, we still have that masterpiece somewhere). Basically, I've always been artsy fartsy. Bear with me. This will now seem like a sudden change in topic. It'll all come together, I promise. So in the last year, I have dug into the Word of God as never before. It's been pretty radical. I've actually begun just reading the Bible. For a girl who has always been dependent on a Bible study book to keep me reading the Bible, this is pretty crazy stuff here. To just start reading the Bible. All by my big girl self. No Bible study books to guide me. It started after the IF Gathering last year, when I began to go through the daily IF Equip online readings on their website. And it's like I've struck gold. Like I've finally hit my stride somehow, discovering new ways to treasure hunt out of the Word of God. Learning to customize my own approach, by filling a basket with a Bible dictionary, using the tools on www.biblegateway.com, and writing my own thoughts in my prayer journal, verse by verse. 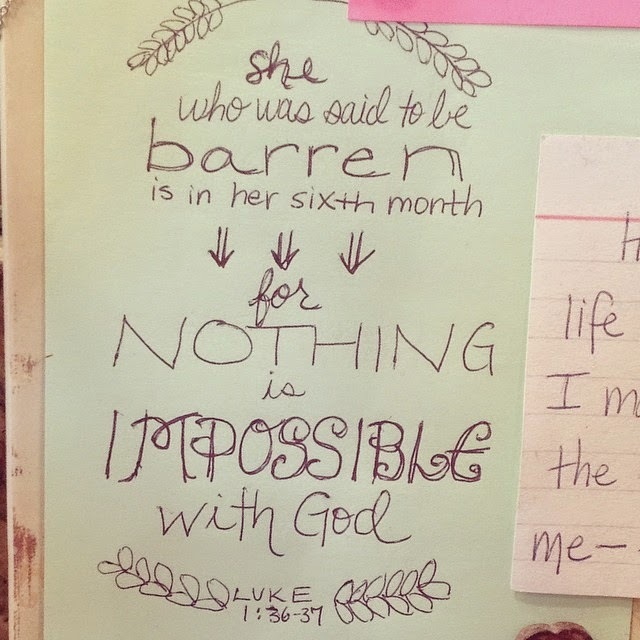 (Bonus bloggy tip about the Bible and growing spiritually--try writing out your prayers in a prayer journal. Writing them out as letters to God. And then, sitting with a blank page and writing out what you think God is saying to you. Jesus Calling style--like the popular book. This is how I keep my mind focused in prayer. And it's pretty amazing to go back and read how God has changed you and been faithful). Oh by the way--nothing against Bible study curriculum AT ALL. I'm just saying that I'm in a different place right now. And it's pretty awesome. Okay, I'm all "squirrel" in this post. Sorry! 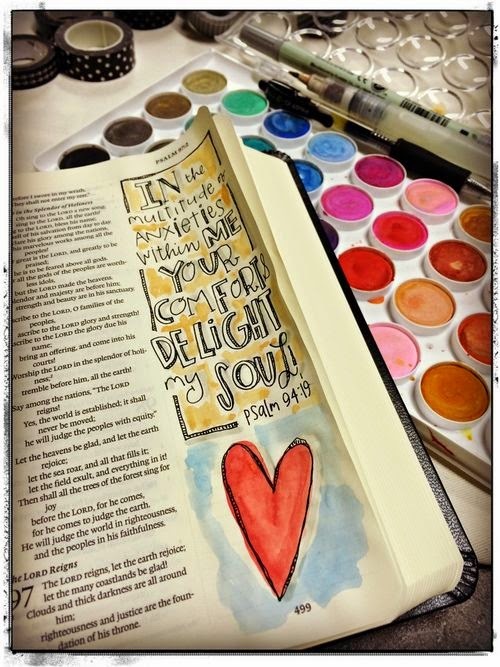 So there really is a point to my sudden jump from how I'm a doodler and how I've been reading my Bible in the last year. Because when you combine those two things... MIND BLOWN. I sorta stumbled on it. What I call doodling out Bible verses. I bought a pad of 4"x6" paper and a 4"x6" mini photo album at the Dollar Tree. I decided to take a verse from each day's passage that I was reading and doodle it out. I just use the ink pen I have for writing in my prayer journal. Listen. Turns out it's a thing. I feel validated and then again like my idea was ripped off all at the same time. 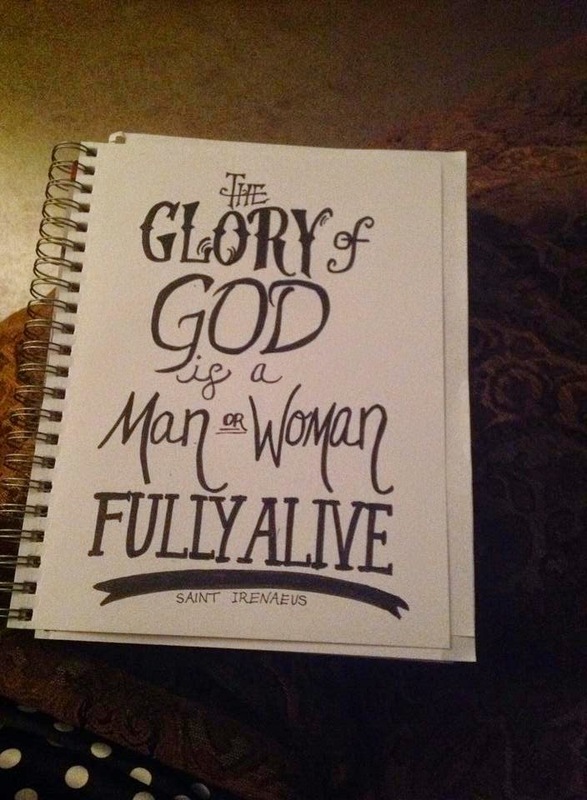 It's more formally known as hand lettering Scripture, apparently. 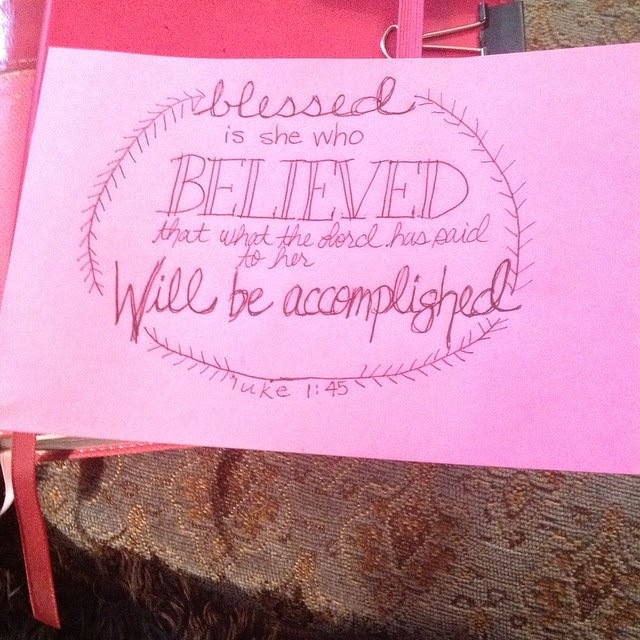 OR, as I more recently discovered, Bible journaling. There's even a journaling Bible you can buy. Yeah--who knew? That's a thing too. It has extra wide margins so you can doodle out verses in them. 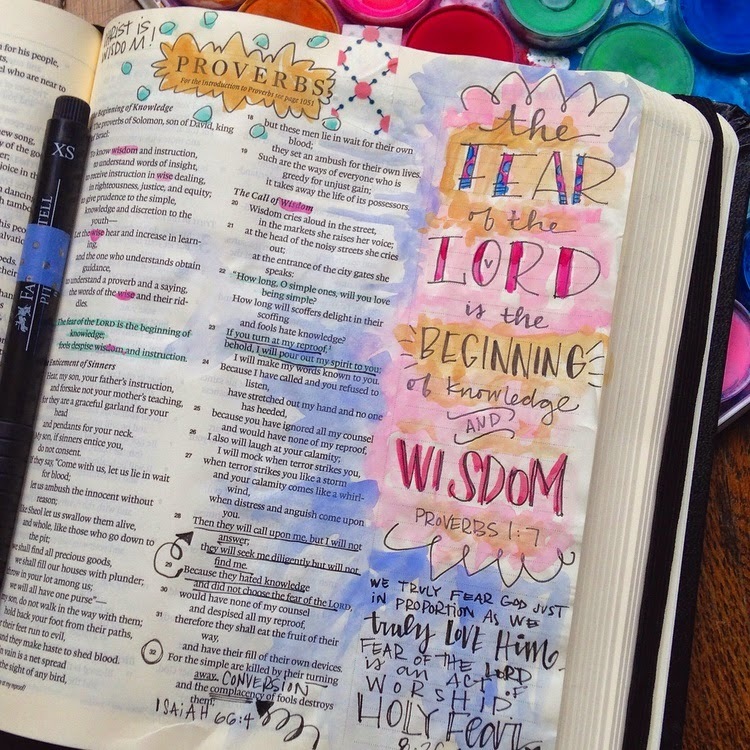 So, this spring with the fifth grade God's Girls, I was showing them my little album of Bible verse doodles as we were discussing various tools to Bible study like a concordance and Bible dictionary. The doodles got their attention. They apparently had their minds blown too that they could combine doodling and Scripture as a creative way to meditate on the Word. And because this afternoon I am going to answer their request to guide them through doodling Scriptures, I decided to share with you, too, what I'm going to tell them. Also, sometimes a room of a dozen tweeners don't always hear what I'm saying. I thought I'd put it in writing for them, too. Drum roll. For all inquiring minds. Here's my approach. I'm no expert. But I am LOVING this new art form. 1. After I've read whatever passage I'm in for the day--which is usually only a few verses that I really dissect and consider--I look back through it and think about which verse stands out. Which verse just hit me hard or seems to summarize what I think the passage is about--summarizing the central theme? 2. Then, I read through that verse a few times. I look through it to consider, which WORDS in the verse seem to emphasize the point and meaning? Which words are key to the verse? These will be the words that I make the largest or boldest in my doodle. 3. I cheat. Just so you know. I have a Pinterest board with various doodling fonts. So I pull that board up and look through the fonts to see which one I might like for the main word or words. I've done calligraphy and as I said, doodling, for decades now. Who knew that trying out my new last name would actually become a new spiritual discipline to help me meditate on Scripture? But for my tweeners, I want to start them simple. So I am suggesting they consider a few basic handwriting styles. 4. I write out the BIG main words as I think they should be spaced. Then I go back and use smaller letters to write the other phrases in between. 5. I add in any flourishes or frames or arrows or such. And you're done. Really. That's it. The thing is to be writing out the Scripture and thinking about the words as a way to help you memorize the verse, too. Especially if you are a visual or kinesthetic learner. So have fun. Don't feel any pressure about how it looks or comparing it to others. 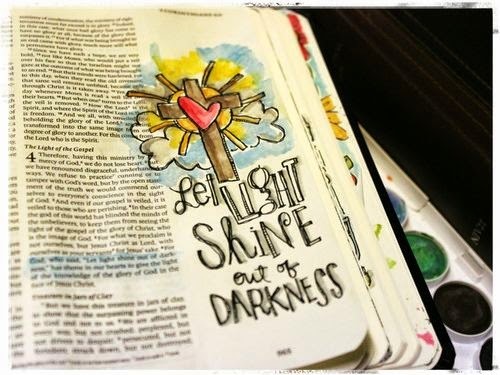 It's just a new idea to combine doodling and the Word of God as a spiritual discipline or practice, like I said. And if you love it and want to play some more with it, you might buy a bigger sketch pad and some black thin sharpies or microcon pens at a craft store. You could add another layer to it and buy cheap watercolors or colored pencils or twistable crayons to add color. My recent doodle in my sketch pad of a quote I heard at the IF Gathering. Some Miss Fancy Pants from the internet who is quite artistic and obviously about to add WATERCOLOR paints to her ink doodles. 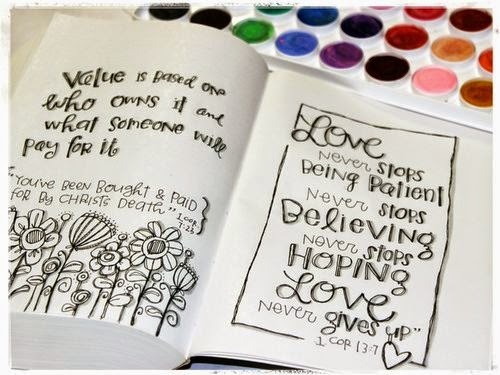 I love that this idea of doodling and Scripture is capturing the imagination of my God's Girls. That these girls are fired up about God's Word because we've hit on something that speaks to them. And, I love the teenage girls I know who have a quote wall where they are basically doing this already. I also love that we can think outside the box and consider new ways that speak to us to help us hide the Word of God in our heart. I love that after 40, I'm still learning so much and discovering new art forms and new things about my creative God who wove creativity into my DNA. And I think I may be asking for a Journaling Bible for my birthday. Because underneath it all, I'm still that little girl who sits and doodles to pass my time. And now, to also feed my soul.